Joan W. Feldman is Chair of the Health Law Practice Group and a member of the firm’s Management Committee. She has devoted her entire legal career to representing health care providers and industry-related clients in connection with health care, business, regulatory and administrative law matters. Joan is general and special counsel to acute, general, specialty, and academic medical centers, skilled nursing facilities, home health agencies, hospice providers, behavioral health and substance use disorder providers, durable medical equipment providers, clinical laboratories, managed care and Life Sciences companies. She regularly advises her clients on corporate governance, corporate and business issues and combinations (e.g., mergers, acquisitions, affiliations, joint ventures and physician/hospital strategic alliances); state and federal regulatory issues, Medicare and Medicaid reimbursement, qui tam actions, fraud and abuse, corporate compliance (e.g., False Claims Act, Anti-kickback and Stark); data privacy and HIPAA, state and federal privacy matters; information technology and software licensing; medical staff governance and credentialing matters; medical ethics and end-of-life issues; and quality of care regulatory matters, developing quality improvement and assessment programs; clinical research matters; and state and federal licensure matters. She has extensive experience dealing with CMS and state licensure authorities on licensure and regulatory matters. Joan also has extensive experience advising her clients on certificate of need matters and proceedings, both as applicants and intervenors, relating to establishing new facilities, termination of services and transfer of ownership. Joan’s significant experience representing health care providers, along with her experience as a registered nurse in Massachusetts, Maine, New York and Connecticut and her experience as a faculty member at the University of Maine School of Nursing, provides her with operational insights and practical approaches to challenging compliance and quality issues that distinguish her advice and add immeasurable value when counseling her clients on legal and licensure issues. 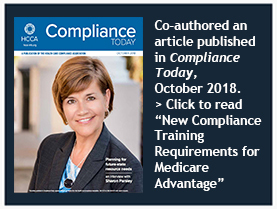 Joan is a frequent speaker, educator and prolific writer on a variety of subjects of interest to health care providers, including compliance, medical ethics, regulatory and reimbursement matters and health care fraud. A team of Shipman & Goodwin attorneys, led by Joan Feldman, assisted Lawrence + Memorial Hospital in the negotiation of its affiliation with Yale New Haven Health, and jointly represented both L+M Corporation and Yale New Haven Health in obtaining all the needed regulatory approvals from the State of Connecticut to complete the transaction, including certificate of need approval from the Office of Health Care Access for the system affiliation and the combination of the affiliated medical foundation. The affiliation process extended over an eighteen-month period with many complex regulatory hurdles, along with coordinated corporate, transactional, labor and employment, and environmental legal counsel. Represented Access Health CT, the State’s health insurance exchange, in connection with the development and launch of one of the country’s first all-payer claims databases (APCD). Assisted Access Health CT in its development of a vendor data management agreement for claims data, and continue to advise on data use, intellectual property, privacy and security matters. The APCD program collects, maintains, and assesses health care information and will make such information accessible to health care professionals, researchers, consumers and others for purposes of improving health care utilization, costs and quality of health care services in Connecticut. November 6, 2018 What Does the Partial Repeal of the Medicaid IMD Exclusion Mean for Providers? January 27, 2016 If You Provide Behavioral Health Services, Do the New HIPAA Reporting Rules Apply to You? 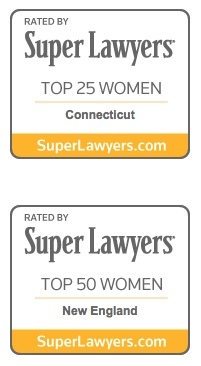 October 29, 2015 Joan Feldman Named "Top Lawyer"